Nuvothera announces the launch of its Super-Micronized Turmeric Curcumin supplement. Nuvothera’s Turmeric Curcumin is unlike any other because it’s super-micronized to achieve maximum absorption, potency, and bioactivity without chemical enhancers. Turmeric and its unique compound curcumin have anti-inflammatory effects that heal the gut and body. Turmeric and curcumin reduce inflammation, lower risk of heart disease and cancer, improve circulation, detox the liver, and stimulate collagen production as well as rejuvenate skin. The key to Nuvothera’s unique scientific formulation is the water-soluble formula that allows for maximal absorption without harmful chemicals. Nuvothera Super-Micronized Turmeric has been shown to be 100 times more potent than other brands. Nuvothera’s CEO Arthur Clapp has decades of experience developing all-natural alternatives to pharmaceutical treatments. This is a God-send for people seeking to reduce dependence on prescription pills. 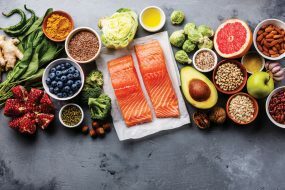 Consumers report benefits of diminished joint pain, improved brain function, thwarting Alzheimer’s disease, and even anti-aging effects. Turmeric also is the most helpful remedy for inflammatory skin problems like acne, rosacea or psoriasis. The key to Nuvothera’s unique scientific formulation is the water-soluble formula that allows for maximal absorption without harmful chemicals. “Our Super-Micronized Turmeric Curcumin excels in so many ways beyond conventional curcumin options,” says Clapp, “but the star of the show is our finding of 126 times greater COX-2 inhibition, which is a biomarker for inflammation.” There’s a plethora of health advantages of turmeric and curcumin. However, the anti-inflammatory benefits are the most exciting. The Super-Micronized Turmeric Curcumin is a game changer for sought after anti-inflammatory benefits. 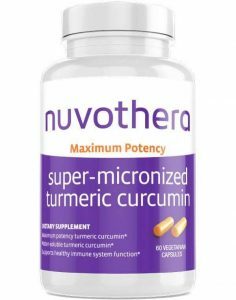 Nuvothera now sells Super-Micronized Turmeric Curcumin on their website www.Prosoria.com, or from Amazon and other outlets. 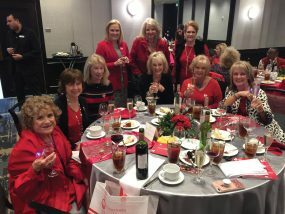 For more information contact Sumer Dene at Sumer@baygroupmedia.com or 281-474-587.